I walked through Venn Gdns / Park between Canel Rd and Commercial Rd a couple of weeks ago and saw that somebody had set up camp in the corner - quite surprised to see that the camp complete with two occupants is still there .,I fully accept that this is the life some people follow for whatever reason but should they be allowed to remain there ? It's not a park, it's a graveyard, formerly used by St Peter's Church, now decommissioned but still consecrated. As such, although it is still owned by St Peter's Church (technically the Vicar is the freeholder), the maintenance is the responsibility of Herefordshire Council, which explains the very run down condition and the demolished wall that has never been rebuilt. The archway off Commercial Street is Grade 2 Listed. John Venn is buried in the graveyard and his grave was restored a few years ago by the Hereford Society for Aiding the Industrious, the charity that carries on his good works. As to the campsite, it's a sad indictment of our society that people have to live like that, and it won't be any fun at all as the temperatures drop. There are other tents around the City. I suspect the Council won't do much with this one, hoping that it will go away, but at some point it becomes unhygienic and a health risk. Apologies for the slip up in the name . 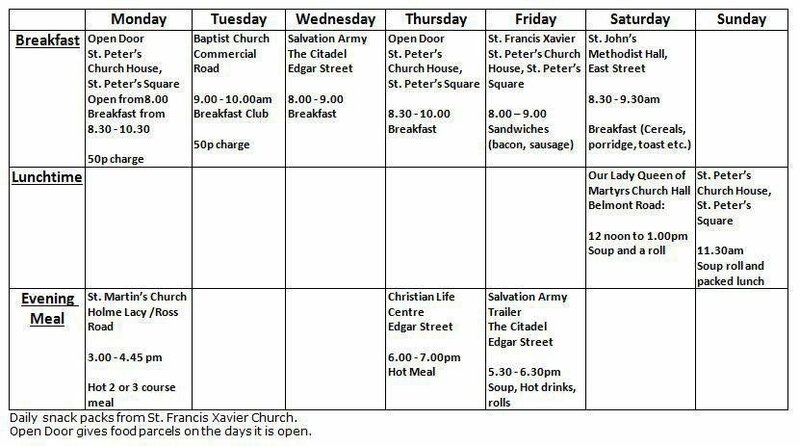 Re the rough sleepers , hopefully St Peters Church will be opening their annual rough sleepers accommodation covering the coldest time of the year. it's a real pity that this or similar is not available throughout the year for homeless people . I am sure that I will get slated for my response and although this person appears to be living out of a tent there are plenty of other places he could set up rather than in a graveyard. Authorities need to remove him from this location. 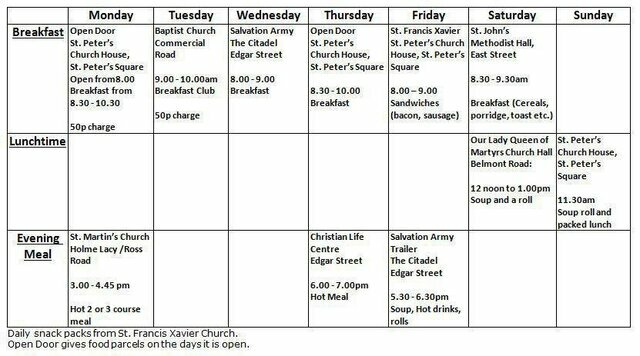 I do not believe that the majority of Rough Sleepers enjoy their life style but , I am sure that in the main there is help and assistance for them . People critise Govt etc when an apparent Rough Sleeper turns out to be a Veteran , no Veteran , unless it's their own choice needs , in my mind and with my knowledge have to sleep in doorways , tents etc. I fully accept that the homeless Veteran needs to seek help and assistance , he has to ask for it or somebody else needs to seek the help from the Military Charities for him-her, SSAFA local 24/7 line is 01432 273932 , TRBL 0808 802 8080 . The local Police Custody Centre , Council Customer Services etc. are aware that if they deal with a Veteran who needs help,they will ring one of the telephone numbers to start the ball rolling. I have no issue with this tent, and it's occupant, being there. As long as no mess is being caused. If the rubbish and litter can reasonably be associated to the tent being there then the tent and it's occupant need to be launched. It is a conservation area. Going back three or four months, when the sun was out a bit more, the steps under that graveyard arch were the permanent home of some drunken hobo drinking beer all day. I noticed! There are plenty of places to pitch a tent around this city and a grave yard is most definitely not one of them! 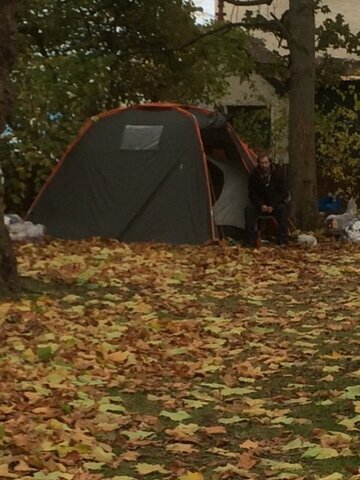 I understand that this person has been offered alternative accommodation and as is often the case, they refused help. Having read all the comments I certainly disagree with your comment especially as apparently they have been offered help,and assistance . The homeless person(s) must be willing to change their lifestyle . At 1115 today the occupants of the tent were in Wetherspoons taking advantage , I thought , of their offer of refill cups of coffee for £1.25 but I was wrong , it was pints of beer or cider . They know , fully that help is there for them , they just have to accept it . All of this debate is fairly pointless unless we have details about the person in the tent. Just came through this graveyard and what a mess he has made!